At the moment I am adding around 50 datastore’s to a host, now whilst I love using the great Virtual Infrastructure Client wizard to do this after adding two of the 50 i remembered what someone said (can’t remember who)….. If you do something more than once, script it. So guess what I did…. The following script was used to add the datastore’s from a csv file whilst I happily worked on other things. $ESXHost |New-Datastore -Vmfs -Name "SAN_HOST$($HostID)_LUN$($LunID)" -Path "$($VMHBA)$($HostID)"
The New-Datastore cmdlet also has a -BlockSizeMB parameter which can be used to specify the block size of VMFS in megabytes. All in all it took me around 10 minutes to add 50 datastore’s which I think would have taken significantly longer through the GUI. 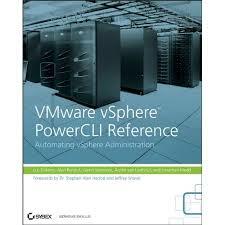 Yet another reason to start learning PowerCLI ! How about a NFS datastore to multiple hosts (cluster) ?? What format should the LUN ids be within the spreadsheet? Do you have a sample copy of your csv file? quick ?-Under 4.0 the nomenclature seems to have changed a bit-i.e. from ‘vmhba1:4:0’ on a 3.5 host to ‘naa.600601600a402300fc3bb01aac1fdf11’ for the Identifier field within VC. Has the Cmdlet syntax changed as well?